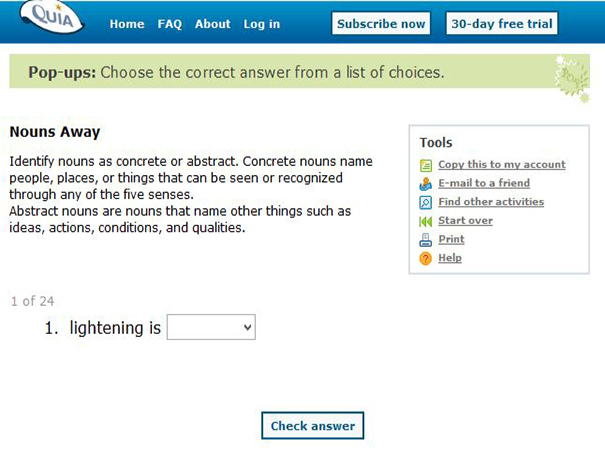 Identify the types of nouns in this quiz. Concrete nouns name people, places, or things that can be seen or recognized through any of the five senses. Abstract nouns are nouns that name other things such as ideas, actions, conditions, and qualities.